I started my professional technology career as a help desk administrator supporting a small healthcare organization that was still using something that was called Citrix Metaframe XP – it was the first time I had dealt with a real IT infrastructure, and also the first time I interacted with a Citrix product. After that, I interacted with Metaframe and XenApp (among other products) on and off until I started working for a Citrix partner a gained experience with the entire product suite. Over the years products changed, customers changed, jobs changed, but my overall feeling of Citrix has never changed – ever since I first saw an application launch on a thin client, I was sold. Not to say that there were not issues or hard times over the years, but it was just really cool technology. Now, I have the pleasure of working for Citrix and I get to interact with VERY smart people both internally but also in the Citrix Community. 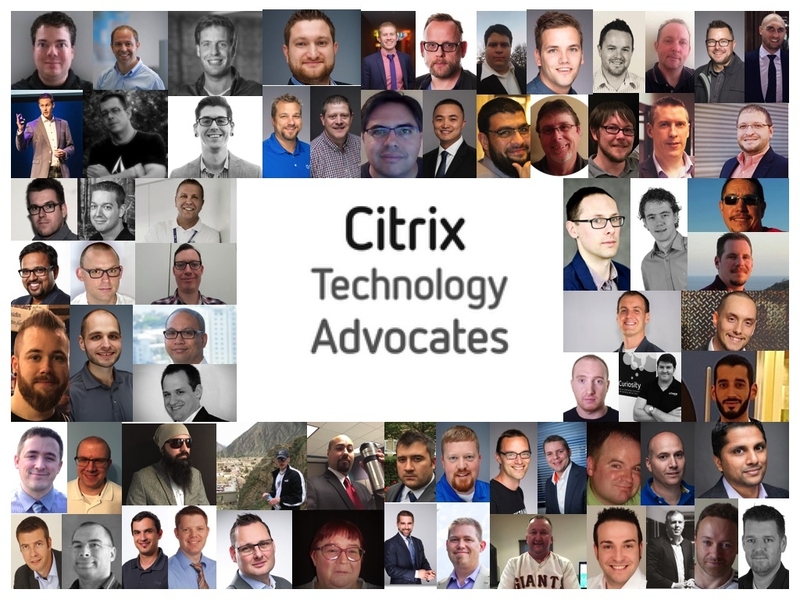 Citrix has also introduced a new community excellence program known as Citrix Technology Advocates and announced the 2017 members. I am very honored and thankful to be a part of this group! Take a look at the full listing of 2017 CTA Members here. I’d like to say a sincere THANK YOU to all those involved in making this possible and I look forward to working with everyone in the community.